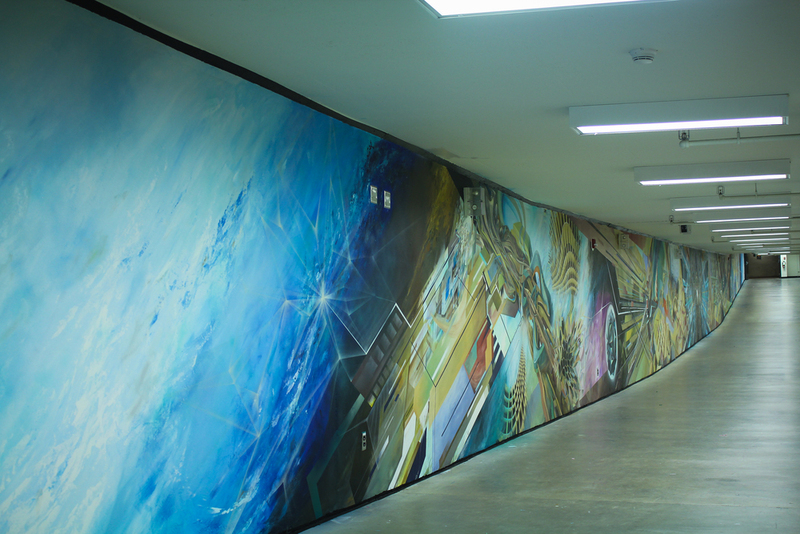 Mural at the University of Manitoba in Winnipeg, Canada. 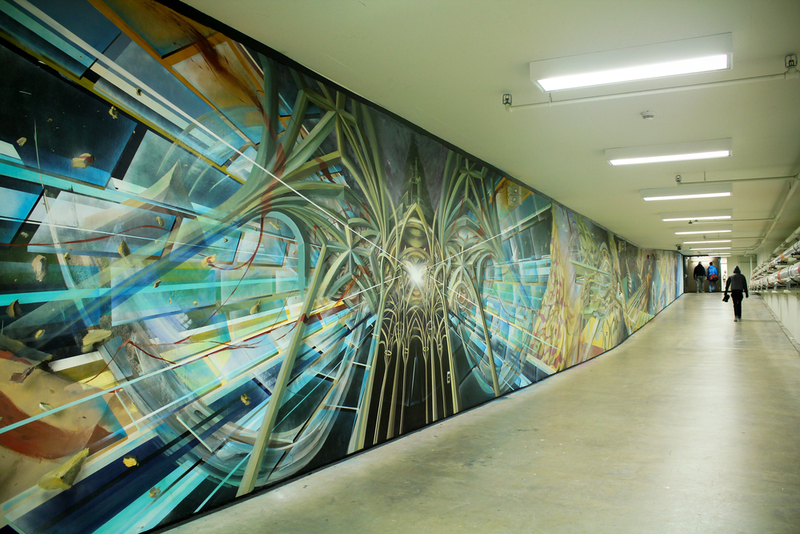 Painted in the tunnel connecting the Architecture 2 building and Frank Kennedy Centre / Extended Education buildings. Mural length: 70 metres / 230 feet. Completed during the summer of 2013.